Whilst in residence, we invited customers to join us for a bespoke portrait. 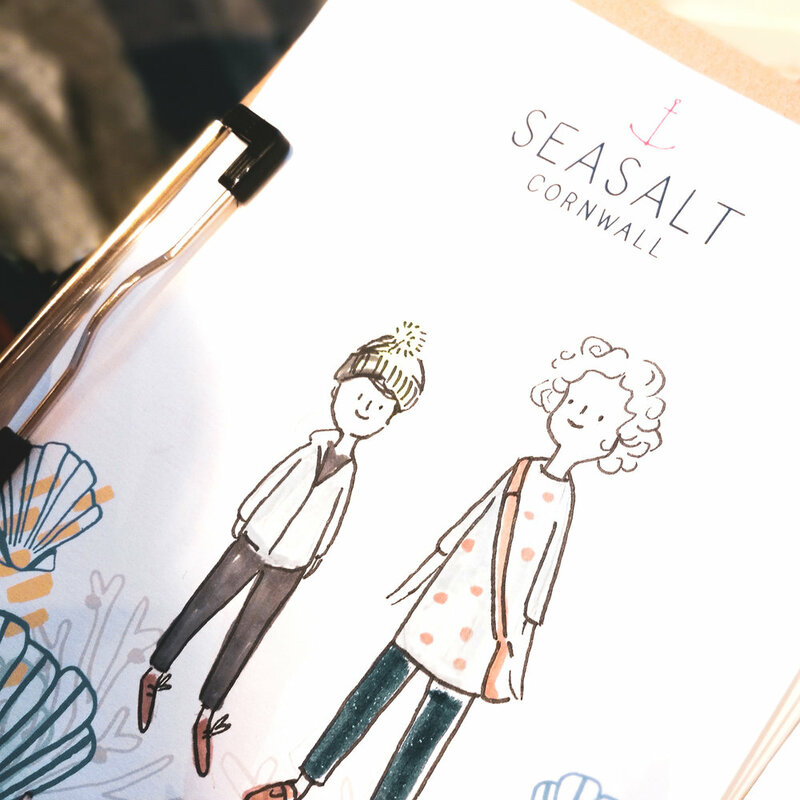 We illustrated on bespoke Cornwall-themed cards designed by us for Seasalt. Customers were then able to take their illustrations home as a special souvenir of the day. We can't wait to visit Lytham again! It's a beautiful, coastal town in Lancashire. Its most notable landmark is its windmill (replicated in glorious flowers below). If you've never been, we definitely recommend it. If you do visit, don't forget to pop by Seasalt's store.